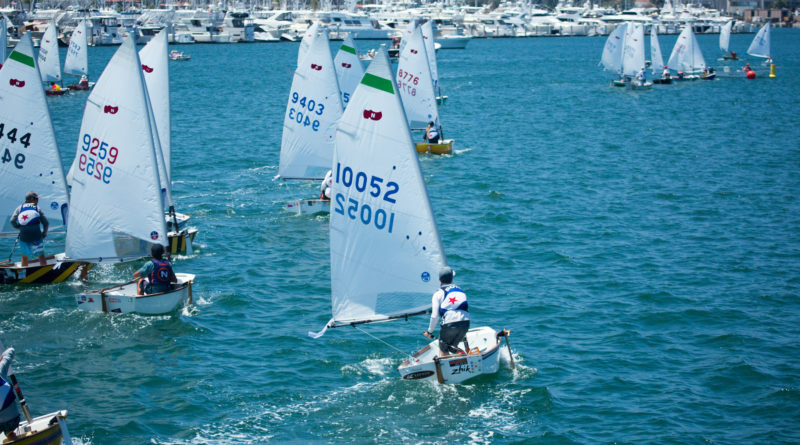 Distance dinghy race promotes summer sabot sailing in San Diego and Glorietta Bay. SAN DIEGO — Junior sailors are expected to compete against each other on the water as the 48th annual Dutch Shoe Marathon comes to San Diego and Glorietta bays on July 21. The distance dinghy race from San Diego Yacht Club to Coronado Yacht Club is also open to senior sailors. Nearly 150 sailors hailing from various Southern California yacht clubs participate in the annual sabot race. The race’s distance will be the longest its junior sailors – many of them between age 8 and 15 – would sail in any competition, according to organizers. Sailors start at La Playa Cove and navigate down San Diego Bay toward Coronado’s Glorietta Bay. After crossing the finish line there the race’s competitors will celebrate the Dutch Shoe Marathon with an awards ceremony at Coronado YC. In all there will be four classes of competition: Sabot A, Sabot B, Sabot C and Senior. Jake Mayol of Bahia Corinthian Yacht Club claimed first place honors in 2016, with Samantha Gardner of San Diego YC finishing second overall; Newport Harbor YC’s Morgan Pinckney finished third. The race is named after the logo design, which resembles a Dutch shoe, found on the mainsail of an 8-foot pram. First race begins at noon and is expected to take three to four hours to complete. Recommended onshore viewing areas are at Shelter Island, Seaport Village and Glorietta Bay. Registration begins at 9 a.m., followed by a skippers meeting at 11 a.m. and safety check at 11:20 a.m.
Online registration is $40 and includes a t-shirt and food and drink at Coronado YC; the registration jumps to $55 after July 15. Contact Regatta Chair Jason Campbell (jas.t.campbell@gmail.com), San Diego YC Junior Sailing Director John Fretwell (john@sdyc.org), San Diego YC Regatta Administrator Jared Wohlgemuth (jared@sdyc.org) or Coronado YC Junior Director Jill Powell (jrdirector@coronadoyc.org) for more information. The official website is at sdyc.org/dutchshoe.